Book the summer vacation your family has been waiting for all year. Indulge in sophisticated luxuries like swim-up suites, an array of authentic dining venues and world-class spas. Stunning beaches, vibrant culture and live entertainment make these amazing resorts even more special. Delta Vacations gives you more ways to rack up miles, and earn toward your Medallion® Status. SkyMiles® Members earn 3,000 bonus miles per person, in addition to credited flight miles, with a flight and all-inclusive resorts package. If you’re not already a SkyMiles Member, enroll today. *Sample Pricing: This offer is available from hundreds of origin cities, but this price, which reflects the offer, is based on travel between Atlanta and Montego Bay, staying at the Hyatt Ziva Rose Hall. Price is per person, based on double occupancy and select Monday departures and Thursday returns, July 22 – 25, 2019, and is subject to change. Additional restrictions and baggage charges may apply. See Terms and Conditions for details. **Minimum night stays, select travel dates and other restrictions may apply. See Hotel-Provided Terms and Conditions for details. Within this resort, floating swim-up suites overlook the ocean, a tequila sommelier teaches the art of sipping tequila, and microbrewery Tres Cervezas serves its own handcrafted beers. There’s something for everyone — a waterpark for children at the KidZ Club or an exclusive adults-only experience at Turquoize. This resort in Playa del Carmen is just a few steps from Fifth Avenue, and is a favorite choice for value-packed, fun-filled vacation experiences. Guests will find themselves surrounded by exceptional service and a wide array of activities for all ages, including Oki® Fun World children’s program and an endless variety of day and night activities for adults. This beachfront, all-inclusive resort is nestled between Jamaica's Blue Mountains and the Caribbean Sea, on the ruins of the 18th-century Rose Hall Plantation. Exclusive features include the swimming pool complex; Sugar Mill Falls Water Park, a spectacular water attraction in Jamaica; beachfront cabanas; championship golf at Cinnamon Hill Golf Course; a signature Soothe Spa; and the Kids Klub. Service may be operated by Delta Air Lines®; the Delta Connection® carriers: Compass Airlines, Endeavor Air, Inc., GoJet Airlines, Republic Airlines and SkyWest and Delta Shuttle® carriers: Republic Airlines and Compass Airlines; SkyTeam partners: Aeromexico® or codeshare partners: Aerolíneas Argentinas, Aerolitoral dba Aeromexico Connect, Aeromar, Austral Lineas Aereas dba Aerolineas Argentinas, Bahamasair, Gol, Seaborne Airlines, SwiftAir, WestJet, and WestJet Encore. *Price is per person, based on double occupancy at Hyatt Ziva Rose Hall, between Atlanta and Montego Bay. Monday departures and Thursday returns via nonstop service on Delta and certain Delta codeshare partners, and is valid for specific travel dates July 22 – 25, 2019. Advance purchase requirements vary. Other travel days and dates and accommodations are available at other prices. May require travel on specific flights or times; blackout dates may apply. For travel between North America (U.S. and Canada) and the Caribbean/USVI/Central America (excluding El Salvador/Ecuador/Panama)/Guyana/Bermuda ticketed prior to September 19, 2018, $25 USD fee for 1 checked bag and $40 USD fee for second checked bag. For travel between North America (U.S. and Canada) and the Caribbean/USVI/Central America (excluding El Salvador/Ecuador/Panama)/Guyana/Bermuda ticketed on or after September 19, 2018, $30 USD fee for 1 checked bag and $40 USD fee for second checked bag. For travel between North America (U.S. and Canada) and El Salvador/Ecuador/Panama, no fee for first checked bag and $40 USD fee for second checked bag. First checked bag fee of $30 USD applies to Basic Economy fares Between Atlanta and Panama City, Panama. Allowances are subject to size/weight limits. Contact a Delta agent or see Excess Baggage for details. 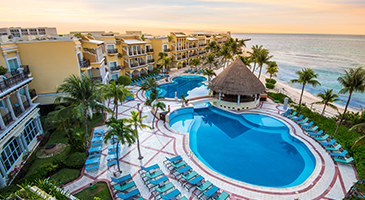 Purchase any Delta Vacations flight and Playa Hotels & Resorts package any Delta Vacations origin in the U.S. or Canada to Mexico, the Dominican Republic and Jamaica, April 1, 2019 – May 9, 2019, for travel April 1 – December 31, 2019. At time of reservation, you must refer to promotional code DV32791. 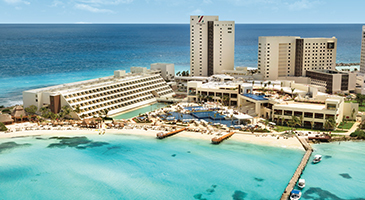 Participating hotels include: Mexico: Cancun — Panama Jack Resorts Cancun and Hyatt Ziva Cancun; Los Cabos — Hyatt Ziva Los Cabos; Puerto Vallarta — Hyatt Ziva Puerto Vallarta; Riviera Maya — Panama Jack Resorts Playa del Carmen. 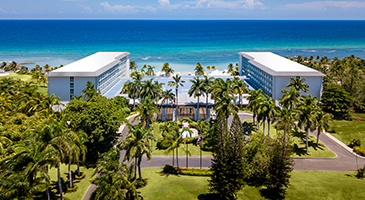 Jamaica: Montego Bay — Hilton Rose Hall Resort & Spa and Hyatt Ziva Rose Hall. Dominican Republic: Punta Cana — Hyatt Ziva Cap Cana. Minimum 3-night hotel stay required. Minimum package purchase of $3,000 per booking is required. Package purchase includes flight and hotel; or flight, hotel and car rental, plus any optional activities. Discount is $100 off bookings of $3,000-$3,999; $150 off bookings of $4,000-$4,999; and $200 off bookings of $5,000 or more. Maximum discount is $200 off per booking; discount is a percentage of each eligible land component. Enter promotional code DV32791 in the Promo Code/eCertificate box on the Booking page. To receive the highest discount, travel April 1 – 13 & 21 – 28, 2019. Book by April 30, 2019, for travel April 1 – December 20, 2019. Up to two kids, 12 years old and younger, stay and eat free when sharing a room with paying adults. One child free per paid adult. Offer valid for the Junior Suite Ocean view and higher room categories. Offer valid for new reservations only. To receive the highest discount, travel April 1 – 28, 2019. Receive $200 in resort coupons per room, per stay. Coupons are valid for spa treatments, bottle of wine and upgrade. Additional information and restrictions will be provided at check-in. To receive the highest discount, travel April 1 - July 4, 2019. To receive the highest discount, travel April 1 – May 31, 2019. Up to 2 kids, 12 years old and younger, stay and eat free when sharing a room with paying adults. One child free per paid adult.